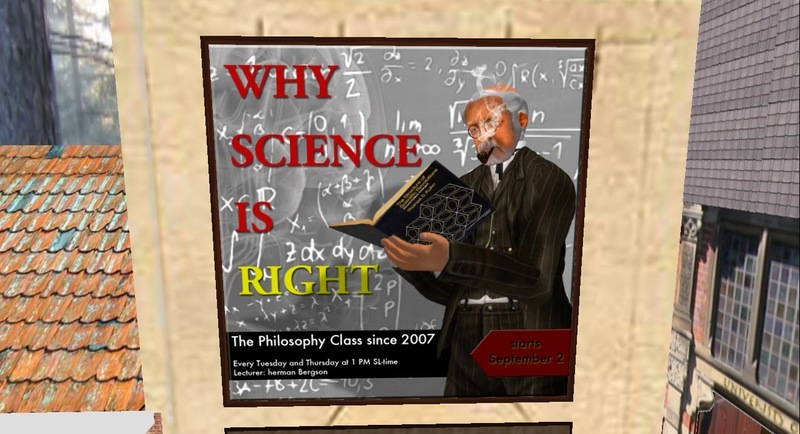 SL Newser - People: Philosophy Class: "Why Science is Right"
Tuesday the 2nd of September the Philosophy Class of Professor Herman Bergson gathered for the first time this semester. However, this is Lecture 534. With all the past themes we have completed over the years, Prof Herman always comes up with a new one to keep us all from graduating. This semester will be devoted to the theme "Why Science is Right." The introduction on Tuesday was enticing and evoked a lively discussion as usual. We looked at the facts of where the Sciences developed through the ages. “This project is meant to investigate, whether these are big words indeed or not. What is really science? How should we look at science? How relates science to reality? Is science describing THE reality? 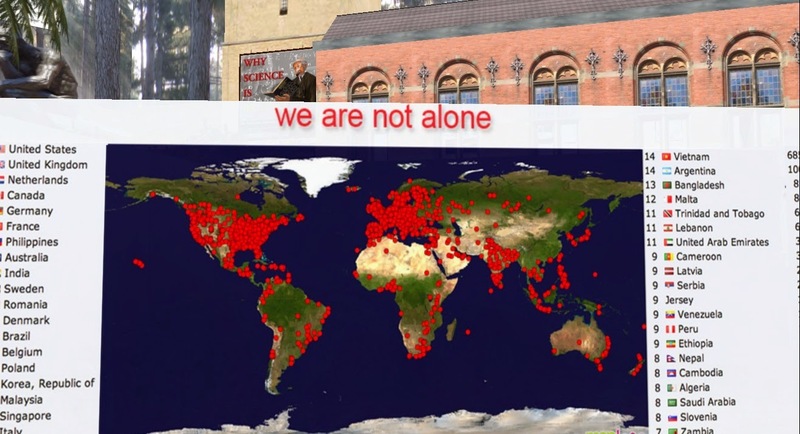 What position does science take in our society?” Herman postulated in his lecture. Will we all agree that Science was right or will we come to our own conclusions at the end? 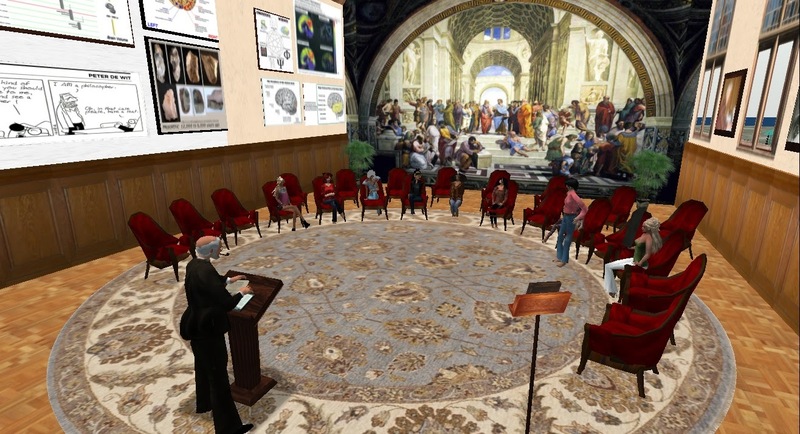 I know each session , held every Tuesday and Thursday at 1:00PM SL time will be most interesting. Already our discussion is open and thoughtful among the participants. As usual, most of us veterans believe at the end of the term we will have more questions then we began with, but the journey will be fun. Some of us have been here a long time, some come and go, some are new. These experiences range from 3D multiplayer games and contests, to interactive adventures where players can take on new personas to imagine what it's like to be a dinosaur, a miner working a mine or an astronaut on a space exploration.